We put lights on a little tree outside our house for the first time this year and I was amazed at how many lights it took to cover the tree. It looks festive but it’s not even that impressive. If you are going to go to an outdoor light display there are some much better local options . . . with much more wattage and many more lights! I think you can measure the “wow factor” of a holiday light display by the number of lights. 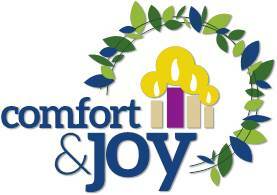 Comfort and joy are things we all want . . . and need. Christmas time seems to accentuate our deficiencies in many areas of our life making us really desperate for more comfort . . . more joy! And since the whole message of this season is tidings of comfort and joy – that’s what Jesus came to bring — so it’s just the right time to get some. OT reading – overflowing with good things . . . they will lack nothing . . . eat your fill – there’s a good Thanksgiving Day image for you! 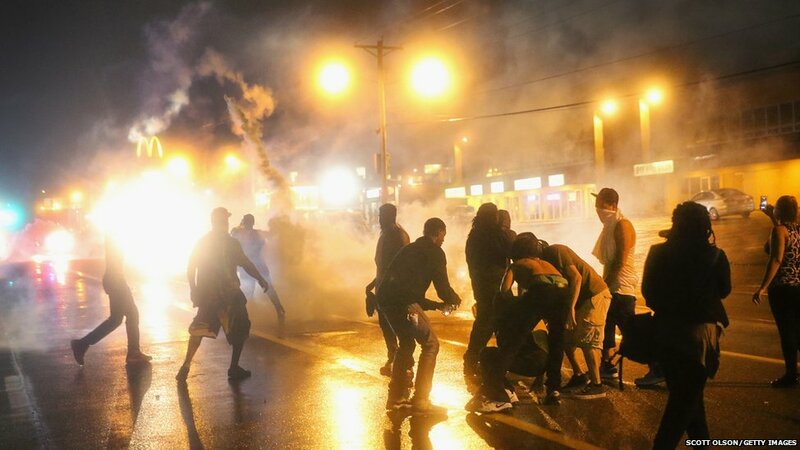 Sounds and images from Ferguson, Missouri this week are filled with rage and violence, disappointment and confusion. People on all sides shaking their heads at a situation that looks out of control and difficult to resolve. Local community members were calling for calm; Authorities trying to do what they can to maintain peace and order. The Governor bringing in support. Even the President addressed the situation at TV trying to help.